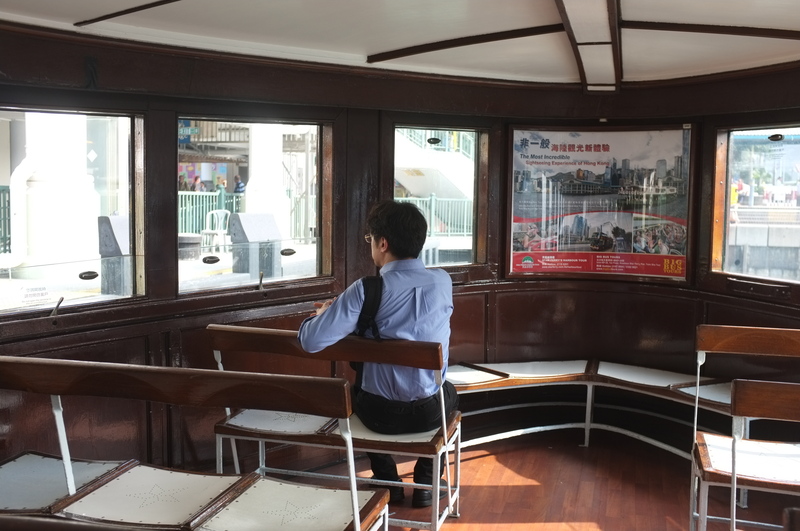 Scaramouchine loves to ride the Star Ferry. 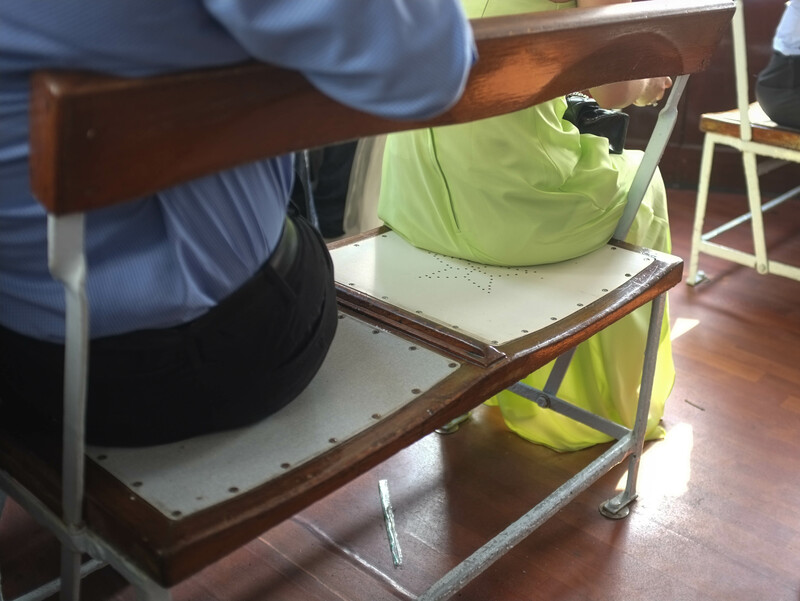 Not only is it the link between two great shopping palaces but it has old school British charm, like a Cadbury Flake. 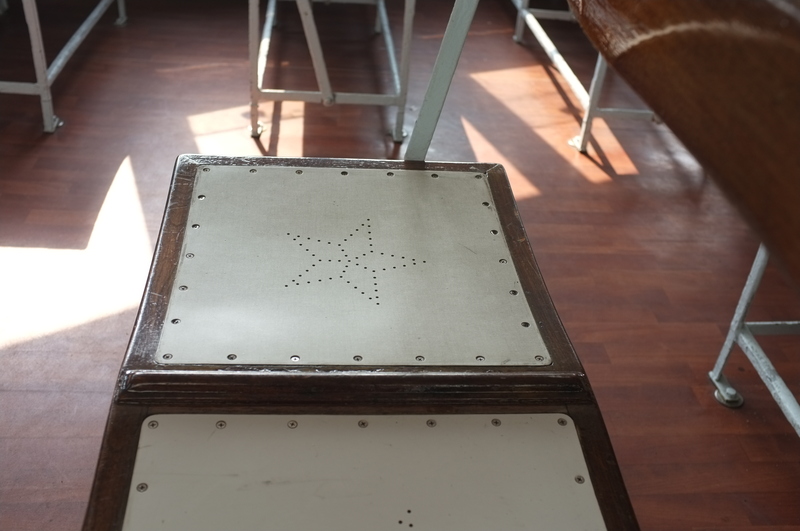 She loves the wooden planking and the white star-decorated seats that flip around. 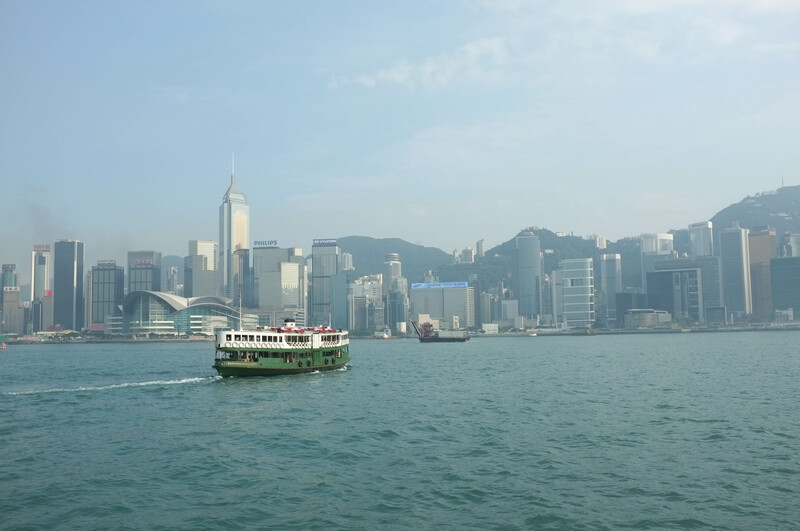 Riding the Star Ferry also delivers first-class views of Hong Kong, the Harbour, the mountains, the water and assorted passengers. 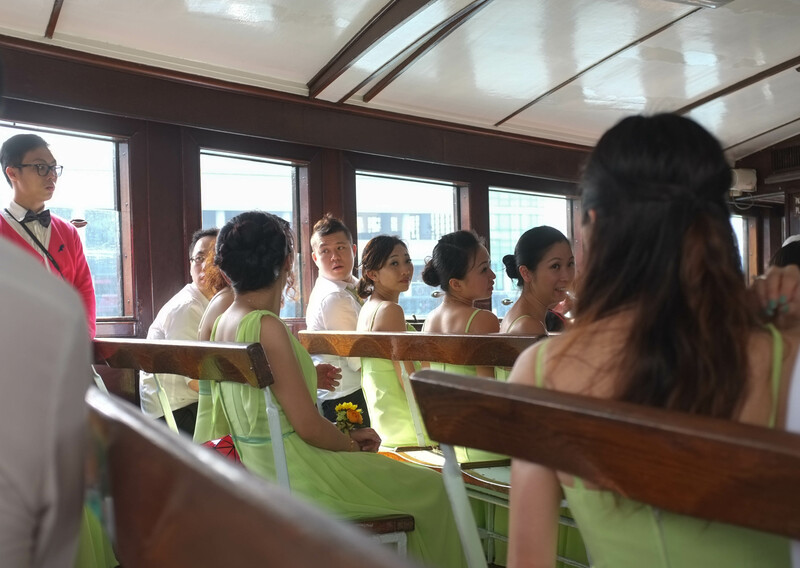 Scaramouchine encountered two wedding parties on the Star Ferry that Saturday.